The stock market’s volatility at the start of 2019 didn’t make me any less bullish on the five cheap stocks profiled in this article, and that mentality has paid off — the Dow Jones is up 13.6% year-to-date. And my penny stock picks? While some are down from their first-quarter peaks, most of them remain considerably higher on a YTD basis. Among these stocks, market movements can cause some noise. But the investment thesis on cheap stocks is predicated on huge moves higher in the long-term. Thus, in the near-term, macro-driven movements amount to nothing more than a sideshow. 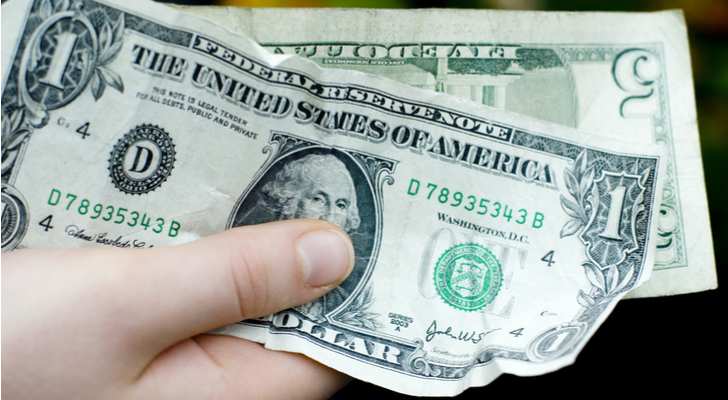 From this perspective, now might be a good time to pile into some stocks under $6. These stocks are a high-risk bunch. But they do have high-reward potential, too. With that in mind, here is a list of five of the best penny stocks that I think have more upside potential to ride the market’s bullishness. 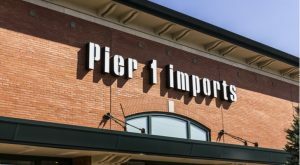 Furniture retailer Pier 1 Imports (NYSE:PIR) has had a tough time getting its act together for several years. Peer Restoration Hardware (NYSE:RH) has seen its stock rise 30% over the past year thanks to a red-hot housing market and robust demand for home furnishings. PIR stock, however, has collapsed during that same stretch. These problems aren’t new. Over the past five years, this stock has lost more than 90% of its value. But, the company has a three-year strategic plan to turn the business around. The plan includes bigger investments in omni-channel commerce capabilities and marketing. No one knows whether this plan will actually work. But home furnishings is a market with enduring demand, so that helps. Meanwhile, PIR stock is dirt cheap. This company used to have earnings power of $1 per share. Even half of that earnings power (50 cents) would be huge for a stock trading under $1. At 50 cents per share in earnings power, it wouldn’t be unreasonable to see this stock hit $8 (a market-average 16x multiple). 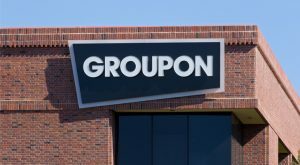 Much like Pier 1, savings-king Groupon (NASDAQ:GRPN) feels like one of those companies that were loved yesterday but will be forgotten tomorrow. But I don’t think that’s true. I get that the savings and deals market is commoditized now. I also understand that Groupon really isn’t a household name for coupons like it used to be. But I’m a numbers guy. And Groupon’s numbers are pretty good. Its margins are improving thanks to management’s focus on higher-margin businesses. Operating expenses are also being removed from the system, so the company’s overall profitability profile is improving. Aside from the numbers, Groupon launched an aggressive advertising campaign last year with hyper-relevant Tiffany Haddish that scored just shy of 100 million views. I think this campaign will have a long-term positive effect on usage, which could drive the stock higher. I’m not a huge fan of the mobile gaming sector. It’s a tough space plagued with competition and low margins. Plus, competition is only building thanks to social media apps becoming increasingly multi-purpose. 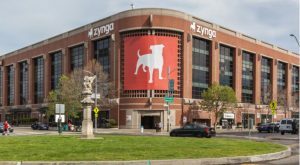 But mobile gaming company Zynga (NASDAQ:ZNGA) seems to have found the key to success in the mobile gaming world. Consequently, the numbers supporting Zynga are pretty good. In Q4, its revenue rose 7% year-over-year and its bookings jumped 19% YoY. Finally, its operating cash flow soared 241%. There is no hiding the fact that the defense sector has been hot under President Donald Trump. Trump came into office, upped the ante on defense and military spending, and in response, the whole world is spending more on defense and military. Defense contractors win when this happens. 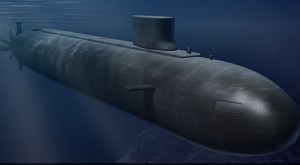 That is why mega-cap defense contractors like Lockheed Martin (NYSE:LMT) and Boeing (NYSE:BA) have been on fire for the past several quarters. But one micro-cap defense contractor that has missed out on this rally is Arotech (NASDAQ:ARTX). Over the past several years, the financials at Arotech haven’t gained any ground. Five years ago, its revenues were $103.5 million and its net income was $3.5 million. In 2017, its revenues were $98.7 million and its net income was $3.8 million. In other words, its profits haven’t risen much in five years. When profits don’t go up, the stock tends not to go up. It is a simple relationship. But its profits are stabilizing. When profits go from declining to stabilizing, they usually go to growth next. And, when profits go up, stocks tend to go up. As such, it looks like Arotech is finally joining the tide when it comes to big boosts in defense and military spending. This tide will inevitably lift Arotech’s earnings power substantially, and ARTX will rally as a result. 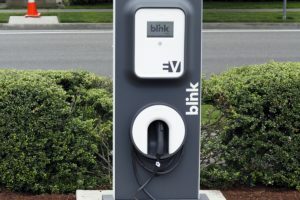 That being said, if this company’s secular growth narrative surrounding building a network of electric vehicle charging stations globally materializes within the next five years, this stock could be a 5- or even 10-bagger. As of this writing, Luke Lango was long FB, PIR, GRPN and ARTX. Article printed from InvestorPlace Media, https://investorplace.com/2019/04/5-stocks-under-5-could-soar/.